Case Study. Glazing offers a fire and hurricane rated solution for US Veterans in Orlando, Florida. SuperLite II-XL in GPX Hurricane Framing from SAFTI FIRST was installed in exterior fire-rated locations that were exposed to the elements. The new Orlando VA Medical Center needed glazing that offers fire and hurricane rated protection, transparency and improved energy performance. The new Orlando VA Medical Center needed glazing that would provide light and transparency, fire and hurricane protection and improved energy performance. SAFTI FIRST provided glazing that offers a fire and hurricane rated solution. SuperLite II-XL in GPX Hurricane Framing from SAFTI FIRST was installed in exterior fire-rated locations that were exposed to the elements. These assemblies were rigorously tested and certified for fire and radiant heat protection for up to two hours, large missile impact, air and water infiltration, and cyclic wind loading. The assemblies also have a 0.29 U-value and a 0.23 SHGC. SuperLite II-XL in GPX Architectural Series Framing were also used in the interior, providing transparency in several one- and two-hour fire-rated locations, ensuring that natural light penetrates further in the building. 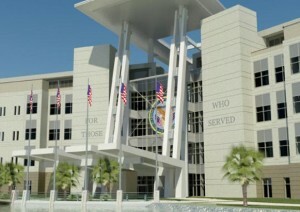 The new Orlando VA Medical Center is located on a 65-acre campus in southeast Orange County. The 1.2 million square foot facility cost $600 million to construct. The medical center will have a large multispecialty outpatient clinic, 134-inpatient beds, 120-community living center beds, a 60-bed domiciliary and administrative and support services. 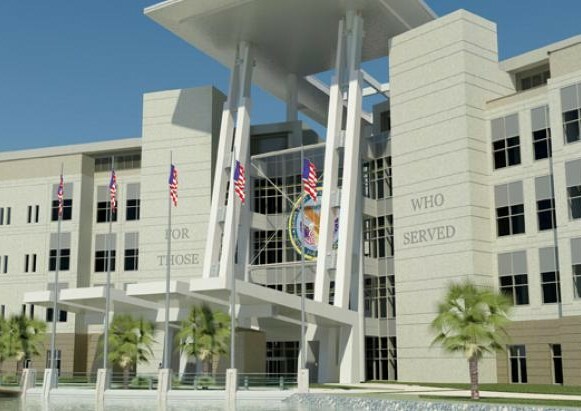 The VA is co-located with the University of Central Florida College of Medicine, the Burnham Institute, the University of Florida Academic and Research Center and Nemours Children’s Hospital in the Lake Nona area known as the “Medical City”.